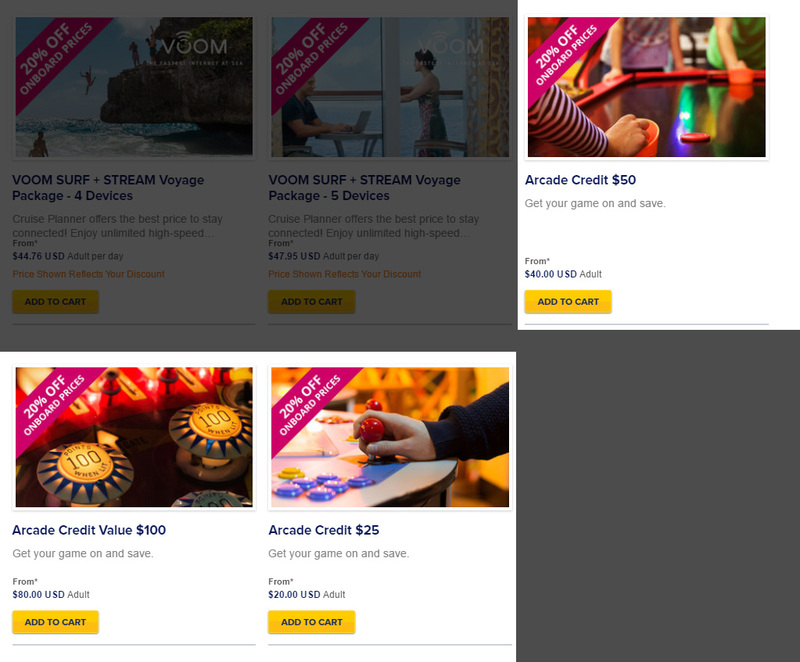 Royal Caribbean is now allowing guests to pre-purchase arcade credit via its Cruise Planner site. There are three options available to purchase prior to a cruise, which offers the convenience of pre-loading arcade credit, as well as a discount. We spotted these new options for Harmony of the Seas and Allure of the Seas, although it may be available on other sailings as well.